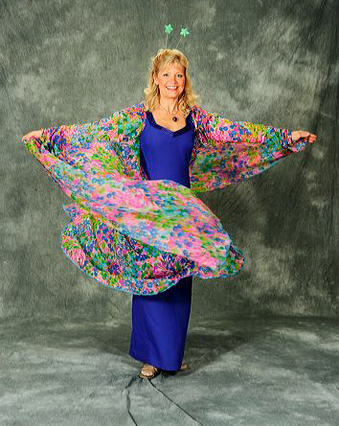 Maryka has performed in Japan, Australia, Italy, America and throughout many parts of Canada as a solo artist, as a featured performer with Tyrsa Choir and a dancer with Rusalka Ukrainian Dance Ensemble. She has shared the stage with Jim Carey and Rich Little in New Orleans. 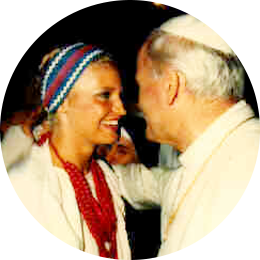 She was honoured to sing for Pope John Paul II at his summer cottage in Italy and when he visited Canada. Maryka has released 2 previous Ukrainian Folk CDs, and 1 Christmas CD with her friend Iryna Wilson under the name “Duet Maryna”. She has co-produced a CD for her children and their friends who are also fine musicians in a group called “Molodtsi”. Maryka has been working with children all her life; they are the source of her energy. Since the age of 5, she enjoyed being the parade leader and directing neighbourhood concerts. She says when she’s making music with children, she feels like she is in the closest place to heaven on earth! She has a magical connection with them. Sometimes she feels like Peter Pan... because she never wants to grow up! Maryka loves to sing, play instruments, dance, hop, imagine and pray in the midst of happy enthusiastic faces. She released her new interactive children’s CD featuring over 200 children aged 4 - 19. They participated in presenting the 15 songs from this new CD called Maryka’s Treasures. Maryka has written songs to help children channel their incredible energy into having fun, moving, participating and learning. Children require no previous knowledge of Ukrainian to understand and participate. In her spare time she continues to sing with Koshetz Choir, St. Anne Ukrainian Catholic Church and she directs the Soloveyko Children's Choir. Find Maryka on Facebook for the latest news!